South Carolina Taxes | How do South Carolina's Taxes Stack Up? If you are thinking about relocating, especially if you are looking for the perfect place to spend your retirement years, you should consider several important factors before choosing your new home. Do you prefer warm and sunny all the time, or are you more at home with chilly nights, occasional snowstorms and four distinct seasons? Do you get high from breathing fresh mountain air, or are you inspired by a peaceful walk on the beach? Do you need to have a reasonably large city nearby so you can take advantage of shopping, dining and entertainment opportunities, or are you just as comfortable with the solitude of small-town living? Is it important for you to live near a major airport? All these factors should play a role in helping you reach a decision, of course, but the final call probably will be based on economics. You should find out which states have income taxes, how each state taxes Social Security benefits and other pension distributions and how much you will have to pay in property taxes. And don’t forget to take a close look at state and local sales taxes, which subtract from your spending power every time you buy something. How does South Carolina stack up against the other 49 states when it comes to letting you keep as much of your money as possible? According to wwwkiplinger.com, the Palmetto State is a wise choice if you would rather spend or save your own money, rather than turning it over to one government entity or another. For example, South Carolina doesn’t tax Social Security benefits and also gives residents 65 and older a state income tax deduction of $15,000 for individuals and $30,000 for married couples. Retirees younger than 65 may deduct $3,000 in pension income from any qualified plan. In addition, retired members of the military are able to deduct up to $10,000 in retirement benefits. South Carolina’s state income tax ranges from nothing up to 7 percent. Its state sales tax is 6 percent, but prescription drugs and unprepared food items are exempt. More than 25 counties collect a 1-percent or 2-percent sales tax of their own. Only three states, New Jersey, Wyoming and Alaska, levy a gasoline tax that is less than South Carolina’s. 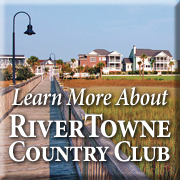 Property taxes in South Carolina are low. A legal residence and up to five acres of land is assessed at 4 percent of market value, while other property is assessed at 6 percent. The first $50,000 is exempt from property taxes for homeowners 65 and older. Under legislation passed in 2006, when a home is sold, the sale price becomes its assessed value. However, several groups are lobbying the Legislature to modify that section of the law, which creates inequities in the real estate market. Owners of two similar homes on the same street might be paying vastly different property tax bills because one home has been sold recently. 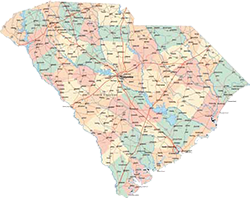 South Carolina has no inheritance tax, while the Palmetto State’s estate tax, levied against the estate before the property is split up, is based on federal guidelines.